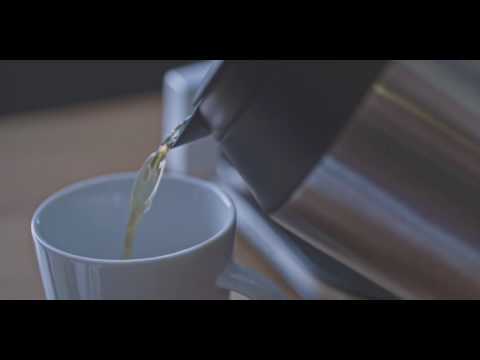 MicroBot Push is a wireless robotic finger that enables you to control your legacy devices remotely. 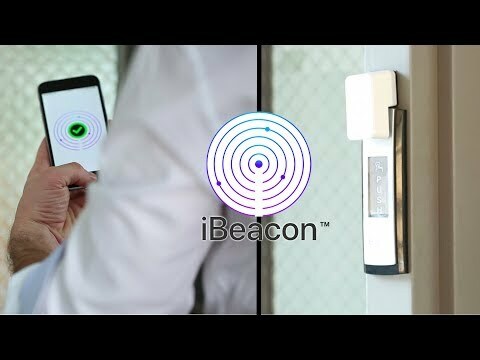 • iBeacon™ Compatible (iOS only). • Pair: Install the MicroBot Push app and pair with the device. • Attach: Use the included double-sided adhesive tape. • Use: Press the button remotely or automatically. No need to get your smartphone out or to even be present for MicroBot to press, pull or toggle any button you like. Simply set a timer including a specific date, hour and duration of action so that all is done automatically, without the Prota hub. Automation possibilities are endless, and even more so if you add Prota S to connect your MicroBot Push with hundreds of services and devices! Prota S smart hub is the smart brain that triggers your MicroBot Push when it's the most needed. *Prota device required for the integrations, not included available separately. 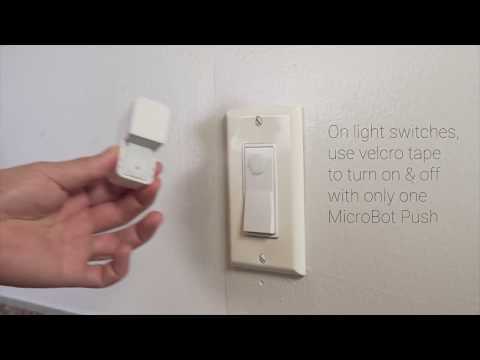 • Press Do button on Apple Watch to trigger MicroBot Push on the kitchen light switch. • Connect Amazon Alexa to MicroBot Push for Prota. • Connect Google Assistant to MicroBot Push for Prota. • Connect Telegram to MicroBot Push for Prota. • Connect Email to MicroBot Push for Prota. • If new SMS received matches “push microbot”, then push MicroBot. *Prota device required for the integrations, not included available separately. Turn your MicroBot into an iBeacon™ device, which can trigger your automation Stories and IFTTT applets when you are nearby. *Prota device required for the integrations, not included available separately. MicroBot’s gears are now stronger and quieter while lasting longer. Its internal structure has been redesigned to fully realize all useful features including touchscreens support and a more stable wireless connectivity. • Push & Hold: Tap and hold on a virtual button on your screen — MicroBot will imitate the same holding duration remotely. • Sequence: You can schedule a Push/Pull/Toggle for a specific day, at a specific hour, with a specific duration. MicroBot Push will trigger while you’re away! • Timer: Schedule one or several actions (press, push, toggle) to occur at a given time and date or on a regular basis. MicroBot push will be triggered while you’re away! • Capacitive Screens: Designed to work on almost any type of buttons, even on touchscreens like smart phones and lighting switches. • Calibration: Different buttons differ not only in shapes and sizes, but also travel distance. Calibrate MicroBot Push and adjust the robotic finger to push exactly the distance needed to trigger the underlying function. • Reveal: Forgot which one is which? Enter into the edit Push mode and tap on the name of the MicroBot that you want to reveal. Use with: Laptop, Remote Controller, Light Switch (rocker, toggle, or 1-pole) Coffee Maker, TV, Garage Door, etc. Features • Bluetooth 4.0 (BLE). • iOS/ Android / Prota compatible. • (MicroUSB, lasts up to a year). • 1.6 kgf torque to push any buttons. • 10mm peak travel distance.